Note: Our HQ session is an “Old School” original CrossFit workout, made famous following a YouTube video that went viral, featuring original CrossFit female athletes Nicole, Annie and Eva. It’s gonna’ be a good one! Congratulations to Vince (seen here training Krav Maga with Perry) on being recognized as Athlete Of The Week at CrossFit Amundson. 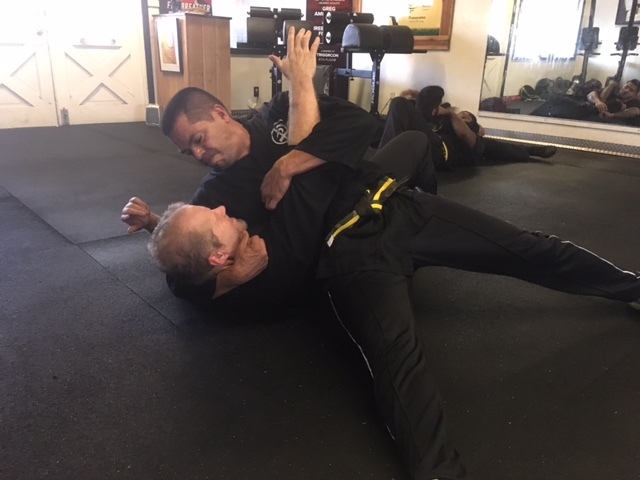 This is the second time Vince has been recognized as AOW, and for good reason: This guy continues to improve in all qualities of his physical fitness, routinely setting records in endurance and running workouts, while also developing immense capacity in Krav Maga, Bag Class and Yoga. Vince has a huge heart for serving others, and his kindness radiate through his smile, his words of encouragement, and his very presence. Congratulations Vince on all your success, and keep up the inspiring work!